The Legend Condos for Sale were completed in 2007. The Legend is yet another Bosa Development, defining the Downtown skyline. The Legend’s 170 high rise condominiums and 8 town homes will provide a perfect balance of privacy, luxury and convenience right in the heart of downtown. 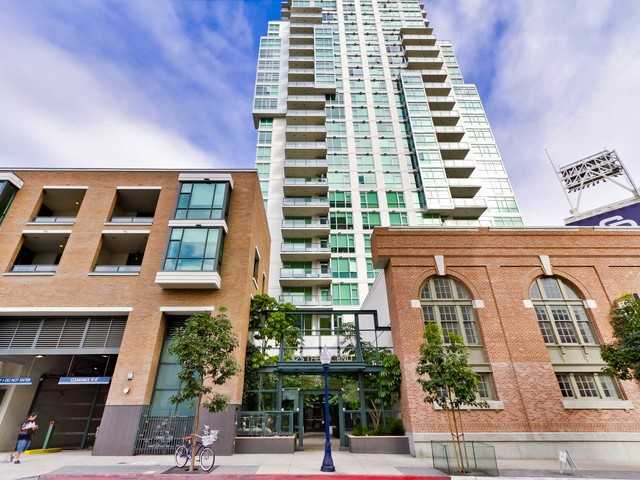 Views of San Diego’s waterfront, the city lights, Park at the Park and the San Gabriel mountains add to the inspiring atmosphere of high rise living. An elegant courtyard entrance, creating a private enclave approaching the lobby, provides a fitting and impressive sense of arrival for residents and their guests. The concierge service and 24-hour gate attendant add a sense of belonging while an ambiance of refinement and contemporary sophistication is apparent throughout the building. Legend amenities include a 2nd floor rooftop deck looking out over Park at the Park complete with pool and spa, fully-equipped fitness room, roof garden & BBQ area, steam, sauna & change rooms. The 7th floor social lounge, which opens out onto a 3,200 square foot rooftop deck also overlooking Park at the Park, complete with outdoor fireplace and barbecue area ensures there’s always plenty of space for social and recreational activities. 3,200 square foot rooftop deck also overlooking Park at the Park, complete with outdoor fireplace and barbecue area ensures there's always plenty of space for social and recreational activities.